Mississippi receiver D.K. Metcalf will miss the rest of the season with a neck injury, Rebels coach Matt Luke announced during Monday's news conference. Luke said Metcalf will likely require surgery. "Metcalf hurt his neck, and it is worse than we originally thought," Luke said. "He'll be done for the season. ... Long term, he'll bounce back and he'll be fine. We'll make sure he gets the very best care." 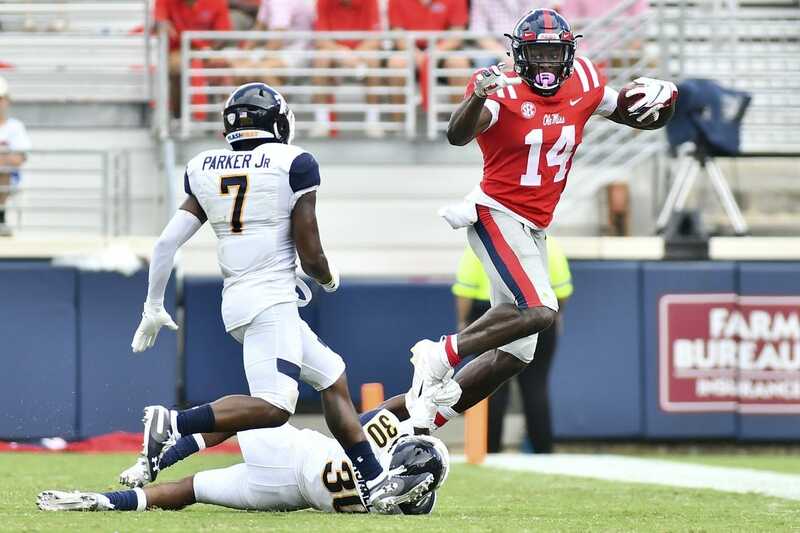 Metcalf, who leads the squad with five touchdown receptions, suffered the injury during the second quarter of Saturday's contest against Arkansas. The sophomore has 26 receptions for 569 yards, a splendid 21.9 average yards per catch. Ole Miss (5-2, 1-2 SEC) hosts Auburn this Saturday.